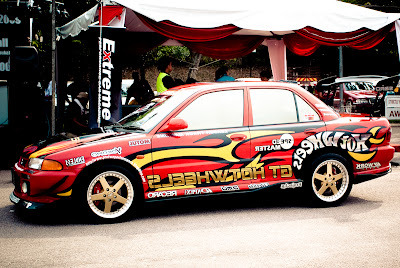 These are some random photos of the car show held in West Malaysia recently. The cars are heavily and custom-modified with body kits, paint and vinyl. All are posted in HD format, please click the photo to enlarge it. 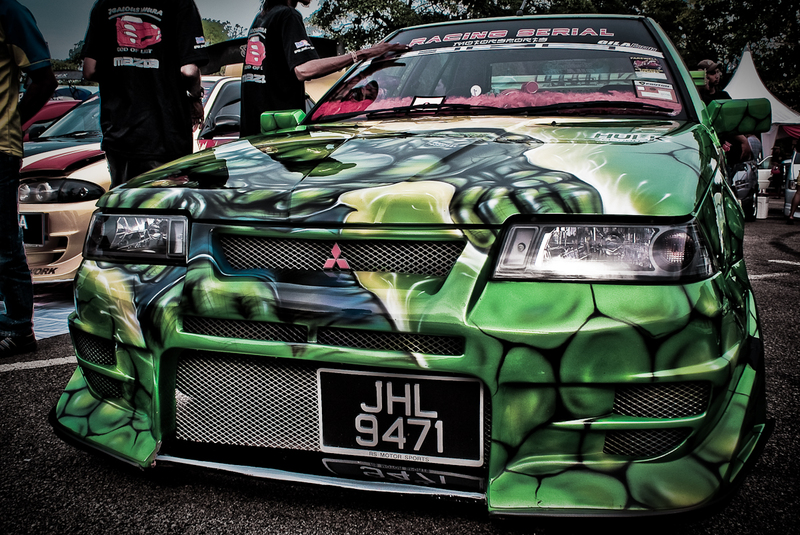 Proton Iswara in Green Hulk Theme, one of the very popular themes used for car show. If you would like to see other modified car with Green Hulk theme, please follow HERE. 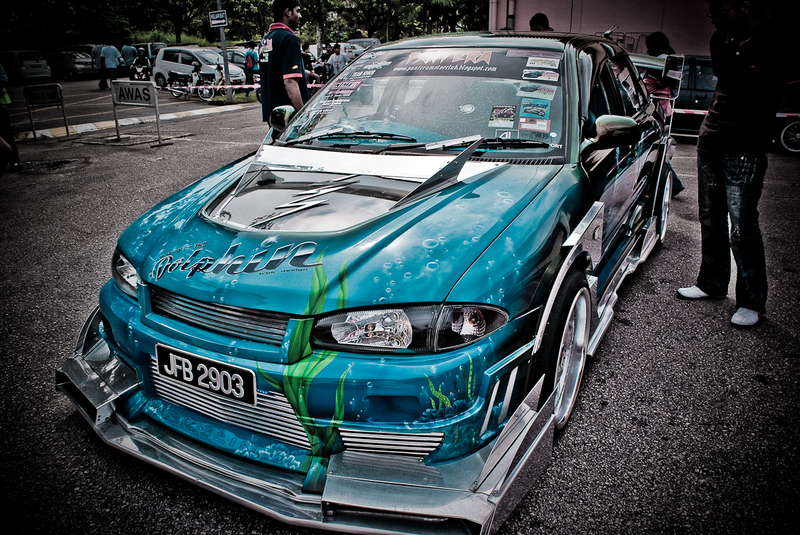 Proton Wira, with Blue Dolphin Theme, excellent outfit, with custom air-brush paint. 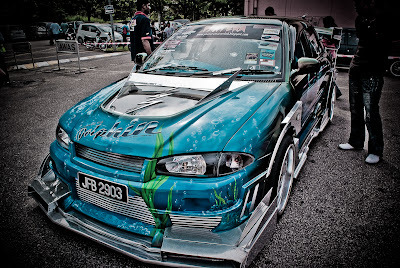 Another different blue Proton Wira, with Dolphin Blue theme, please follow HERE. 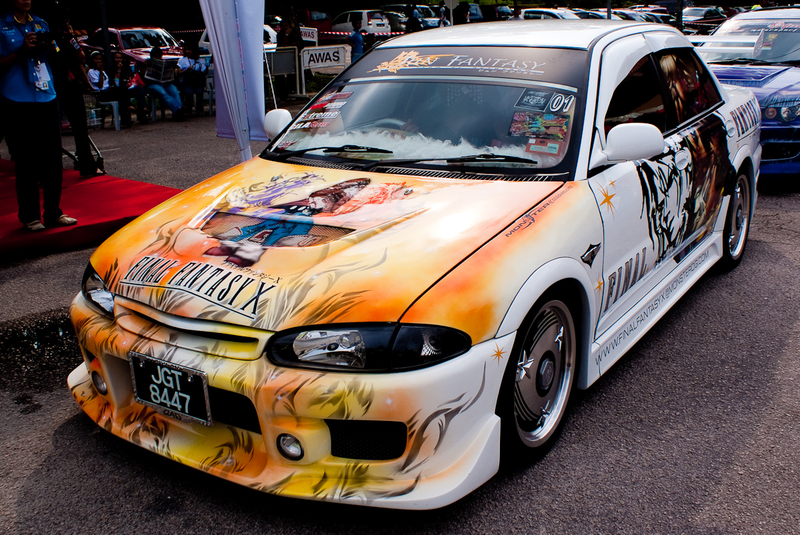 Modified Proton Wira, with Final Fantasy X as the theme. GT HotWheels Theme Proton Wira, minimal body kit modification, but it looked real good! 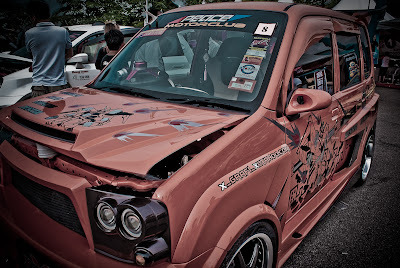 Perodua Kenari, heavy extreme modification, very unique headlamp with custom wide body kits and paint. Perodua Kelisa, with custom modification with the grill to make it an antique-like car. 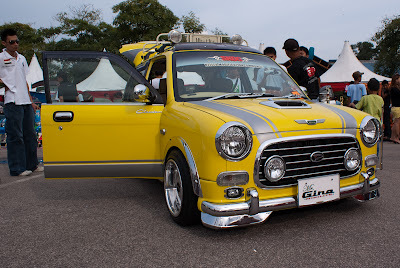 If you would like to see a custom Austin Mini in Kuching, please follow HERE.